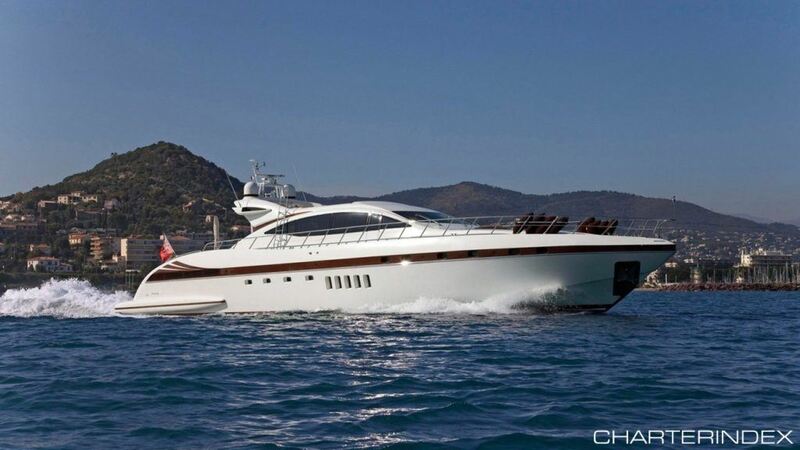 93′ (28.2m) Built 2003, Mangusta (Overmarine). 9 guests. 4 crew. West Mediterranean.